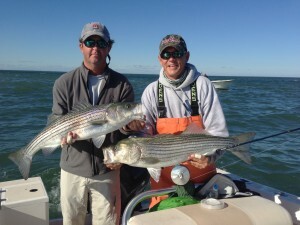 Welcome to Long Island on the Fly, light tackle and fly fishing charters. We are located on the east end of Long Island, New York. 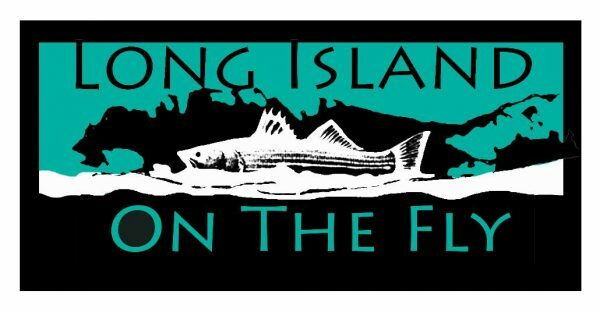 Long Island on the Fly specializes in light tackle fishing and fly fishing for striped bass, bluefish, bonito, and false albacore tuna. We offer fishing trips for everybody, from novice to expert angler, children to aged veterans. The beauty of this area and the excitement of this sport creates indelible memories and experiences for me and my clients. 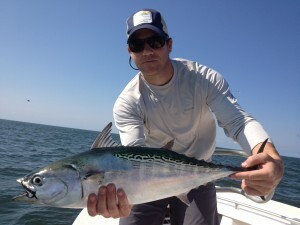 Our goal is to put you on the fish and create a memorable, fun, low pressure fishing experience. 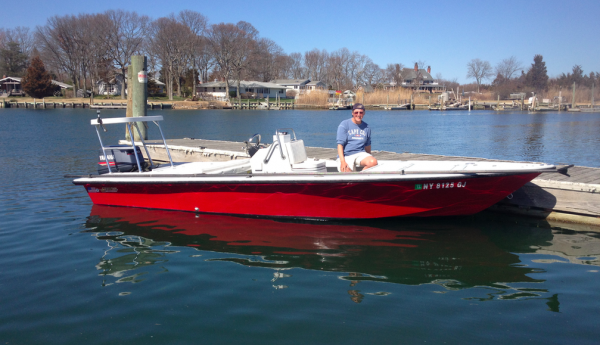 In the Spring and early Summer we are usually targeting fish on our pristine flats using a traditional flats boat to silently stalk stripers in the skinny shallows of the Peconic and Gardiner’s Bay. 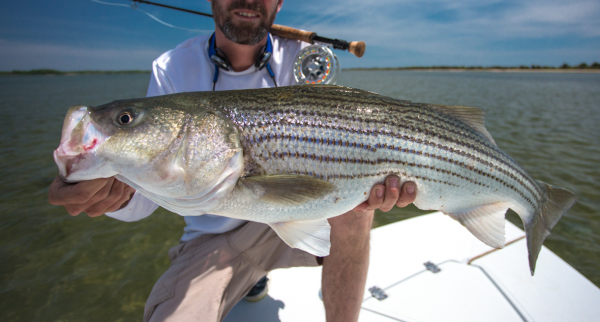 This amazing fishery allows anglers an opportunity to stalk striped bass to 30 pounds in 1′-3′ of water. 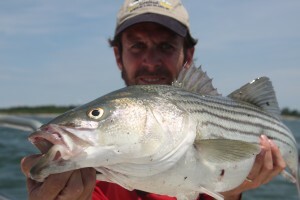 It is true sight-fishing and as exhilarating as fishing for striped bass gets. We do this with both fly rods and light tackle spinning rods. 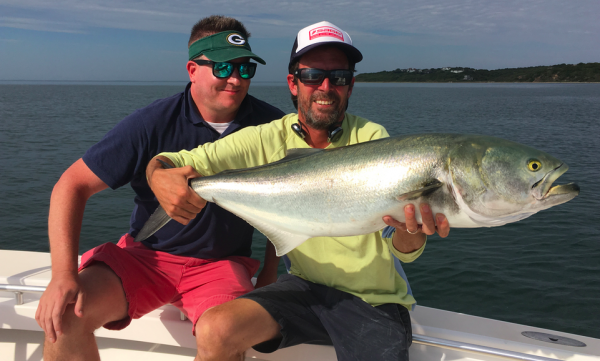 In the Summer months, we spin fish and fly fish around Orient Point, The Gull Islands, Fishers Island, and Gardeners Island where the waters are cooler and large bass and bluefish reside. This oft overlooked time of year can be extremely rewarding. 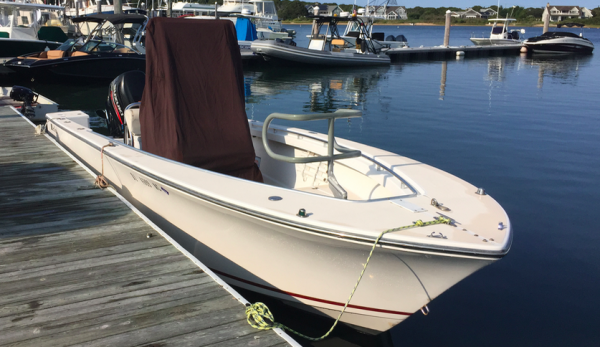 When the famous Fall run begins, we dock our 23′ SeaCraft (equpped with 4-stroke Suzuki outboard motor) in Montauk, NY. 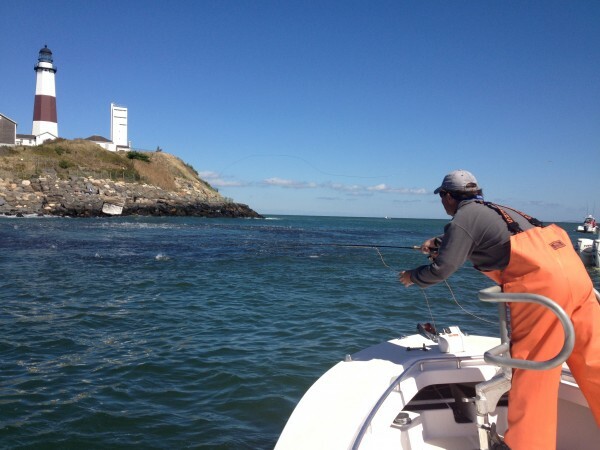 We fish Montauk Point and the surrounding waters for striped bass, bluefish and false albacore tuna. Demand is high for these trips. They fill up quickly so be sure to make your plans and book early if you intend to get in on the action. 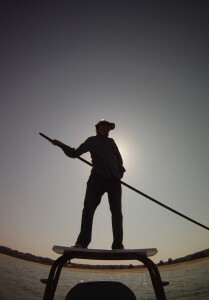 Captain Derr, poling the flats. 23′ SeaCraft Rates: $500/4 hours, $750/8 hours (equipment and cooler drinks provided). $50 fee for 3rd angler. Published author, Former Keys guide, Former Urban Angler GM and Long Island charter captain, will work to expose you to the amazing fishery that is the East End of Long Island. Coast Guard Licensed Captain since 1999. May through October, you can fish Peconic Bay, Plum Island, The Gulls, The Race, Plum Gut, Fisher’s Island and Montauk with Captain Derr. A non-refundable deposit of 50% of the total charter cost is due and payable upon reservation. Cancellations made 30 days prior to the reserved date will receive a full refund. Cancellations less than 30 days will be charged the 50% deposit if I cannot re-book the date. Cancellation inside 10 days requires full payment if I cannot re-book the date. This deposit is otherwise non-refundable unless the fishing trip is cancelled by the Captain due to bad weather or unforeseen boat problems. This cancellation is made only at the Captain’s discretion. Payment: Payment can be made via. cash, check or major credit card. Blitzing bass at Montauk Point. Happy client’s off Montauk Point, (2012). Captain Andrew Derr with a nice striper. 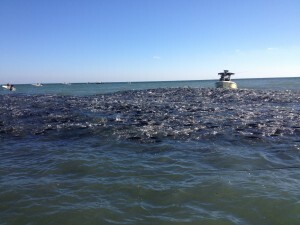 A nice school of blitzing bass. Client with a large albie. Fishing is great right now.